Privileged Punjab uses their own specialised couriers to deliver their food. Special spicy butter chicken cooked with tandoori chicken on bone. Spicy masala chicken cooked with tandoori chicken with bone. Quality boneless chicken marinated and cooked in oven. 1 x Butter Chicken, 1 x Daal Makhani, 1 x Rice and 2 x Naan. 1 x Kadai Paneer, 1 x Daal Makhani, 3 x Naan and 1 x Gulab Jamun. Tender pieces of chicken marinated and cooked in garlic based gravy. Tender pieces of chicken marinated and cooked in garlic based sauce. 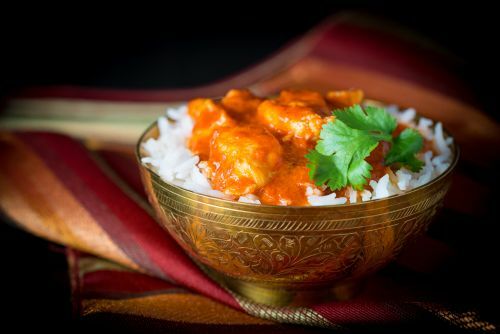 Boneless pieces of chicken marinated in tandoori thick creamy tomato based sauce. A chicken preparation in thick & rich gravy flavoured with onions, ginger, garlic and spices. Freshly cooked chicken pieces cooked with red whole chillies, tomato and onions. Succulent chicken tikka cooked in rich tomato and onion based gravy. Marinated chicken cooked in spicy pickle based sauce. Very special tender and juicy chicken tikka cooked in capsicum and tomato based gravy. Diced chicken cooked in a combination with mushrooms in masala sauce. Fresh diced chicken cooked in spicy onion based tangy sauce. Diced chicken cooked in very spicy Southern speciality sauce with mustard. Seeds, sambar and curry leaves finished with coconut. Boneless chicken cooked with spices and spinach finished with cream. Chicken cooked with diced vegetables in very thick sauce finished with mint. Diced Chicken cooked in spices, Ginger, and fresh ground chillies. A fiery hot curry. Diced lamb cooked in traditional homemade sauce. Dice lamb cooked with minced lamb in thick gravy. A Delhi delight of lamb cooked with onion & capsicum in tomato based gravy. A southern speciality diced lamb cooked with mustard seeds, curry leaves finished. W coconut cream in a thick sauce. A kashmiri delicacy of tender lamb cooked in mild creamy cardamom flavoured rich gravy. Tender lamb cooked in smooth spinach based creamy gravy. Diced lamb cooked in hot vindaloo based sauce. Diced lamb cooked in pickle based spicy sauce. Diced lamb cooked with fenugreek leaves cooked in a smooth creamy sauce. Lamb cooked in spicy onion based tangy spicy masala. Tender lamb cooked in a thick tangy spicy gravy finished with soy sauce. Cauliflower and potatoes cooked in combination finished with cumin seeds. Very rare combination of black and yellow lentils cooked in mixture of spices inspired by the roadside joints of Delhi - Must Try. Prawns cooked in tangy onion and tomato based sauce. Prawns cooked in Aromatic masala capsicum and onion sauce. Spiced prawns cooked in spicy indo chinese speciality sauce. Prawns cooked in mustard seeds and curry leaves in spicy onion and tomato based sauce. Finished with coconut cream. Diced fish cooked in rich thick and creamy sauce finished with dry fruits. Diced fish cooked in mustard seeds, curry leaves and finished with coconut cream. Diced fish cooked in tomato based Makhani sauce. Fish cooked in tomato and onion based spicy sauce. Prawns cooked in tomato based mild creamy thick sauce. Combination of seasonal mixed vegetables cooked in biryani rice. Special butter based discs of leavened bread.